Perinatal Transport Services, also known as High-Risk Obstetrical Transports, require a licensed Registered Nurse with obstetrical training to care for patients with medically complex pregnancies during inter-facility transfers. These transports typically involve mothers with serious or critical symptoms or disease processes that require stabilization at special perinatal referral centers with perinatal physician specialists and Neonatal Intensive Care Units (NICUs). At Hart to Heart Transportation, our Critical Care units are equipped to transport high-risk patients in a safe and comfortable environment. Obstetrical transports demand a sophisticated level of service and skilled clinicians with specialized training in the care and treatment of perinatal disease processes. Our Critical Care Units utilize a high-tech approach to patient care creating a compassionate, medically sophisticated critical care environment using state-of-the-art equipment designed for perinatal transport. Neonatal Transport Services (NEO), also known as Newborn or Premature Infant Transports, require a licensed Registered Nurse with specialized neonatal training or licensed Physician Neonatologist to assist in transporting fragile newborns. Neonatal transports typically involve premature infants with complicated medical history or disease processes at birth. Our Neonatal units ensure that critically ill and fragile newborns are transported in a safe and comfortable environment. 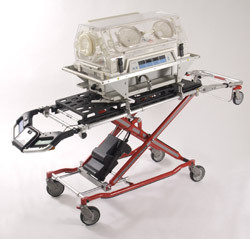 Neonatal transports demand a sophisticated level of service and skilled clinicians. Hart to Heart Transportation partners with local healthcare systems to create a team of in-hospital neonatal experts from Neonatal Intensive Care Units (NICUs) and integrates them into specialized transport teams. This high-tech approach creates a compassionate, medically sophisticated critical care environment utilizing state-of-the-art transportation equipment designed specifically for neonates. Hart to Heart Transportation is one of five commercial ambulance services licensed in Maryland to provide this highly specialized and complex form for inter-facility transportation.